Manzo Smith, who is from Canning Town, first turned professional in 2000. 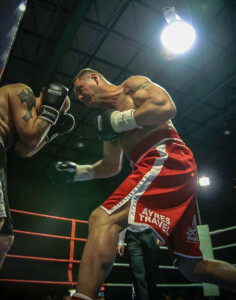 With seven fights, five wins and two losses, under his belt Manzo retired from the sport, however the draw of the hallowed square ring kept nagging in his head, so initially he boxed on semi-pro events before returning to the pro ranks in October this year. Manzo fights on the 23rd October Mark Lyons promoted event at York Hall, against Andrejs Loginovs and just over a month later will once again be in action on the Let Battle Commence event on December 6th.